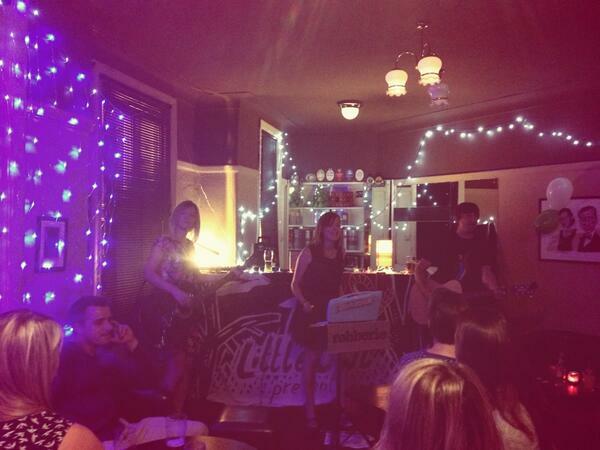 We had a wonderful time at the launch event for our new single in Sheffield last night. Thank you to everyone who helped pack the Rutland Arms out, bought singles and munched on Robberie gingerbread. It was lovely to see lots of friendly faces, both old and new. You can now buy our debut single online from Bandcamp! It’s available as on 7″ vinyl with free MP3 downloads included, or just as a digital download. It’ll also be on sale soon in Sheffield shops Record Collector and LP. We’ve also uploaded the audio for Academical to YouTube, and both are also on Soundcloud so please spread the word! We’re chuffed to announce that we’re supporting the excellent Pete Green for two or three dates on his tour in late September/early October. More details when everything is confirmed, but we’ll definitely be playing The Chameleon Nottingham on the afternoon Saturday 4 October. And we’ll be returning to the Rutland Arms in Sheffield on Saturday 16 November to play with Helen McCookerybook and MJ Hibbett for the next My Little Owl event. We can’t wait!